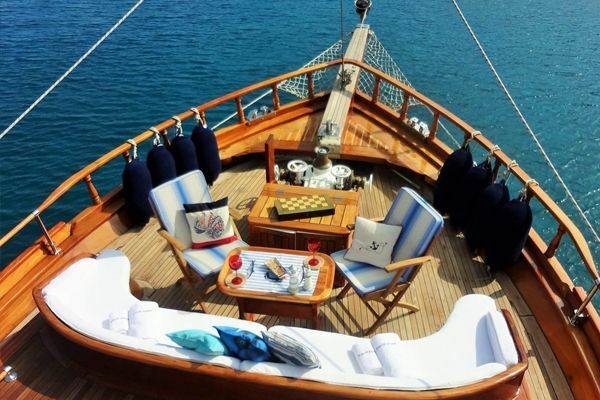 The classic lines of Kugu 1 announce it is a traditional wooden sailing Gulet, and a sister yacht to to “Grandi” gulet and “Gulden Irmak” transom gulet all based in Bodrum. 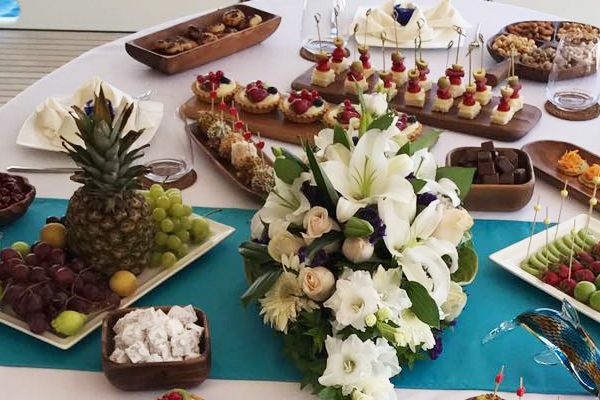 Her jovial and very professional captain Hasan Çelik is the youngest of three brothers who captain and treasure the three gulets. 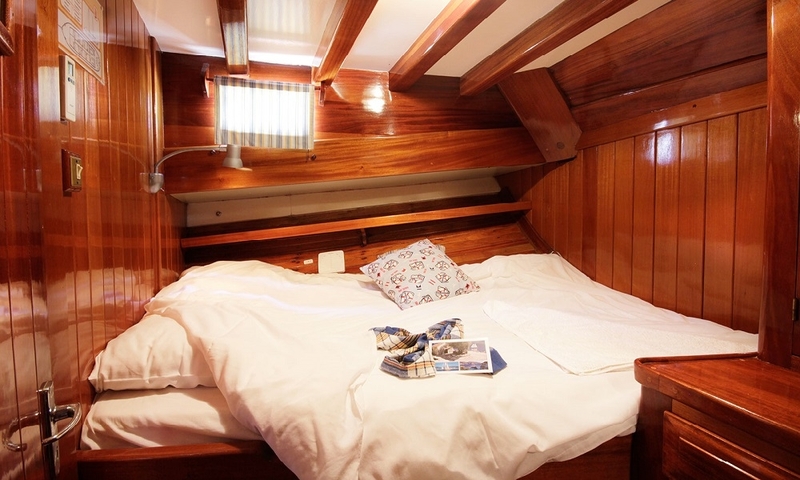 Kuğu 1 (meaning: swan) is the smaller of the three, designed as a ‘true’ gulet , built completely from wood in Bodrum and very well maintained. 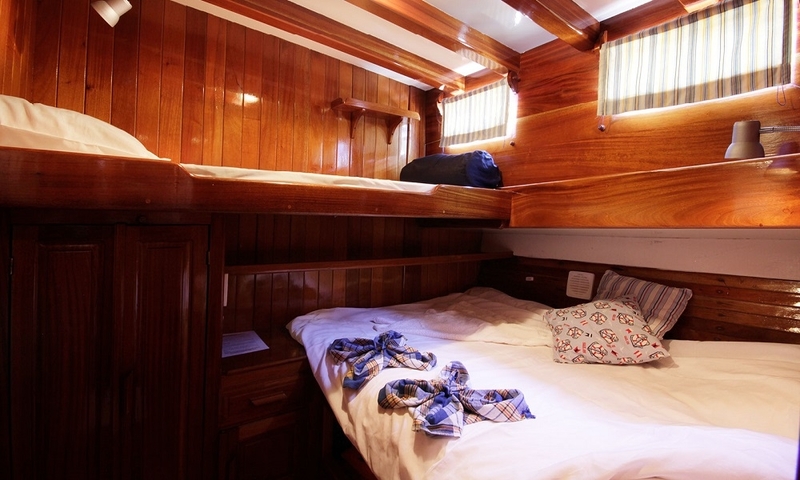 Within her neat 24 meter hull are 6 cabins: all located forward with the larger four triple cabins (one double bed with a bunk crosswise above the foot of the double bed) in the middle and two smaller double cabins forward in the bow. 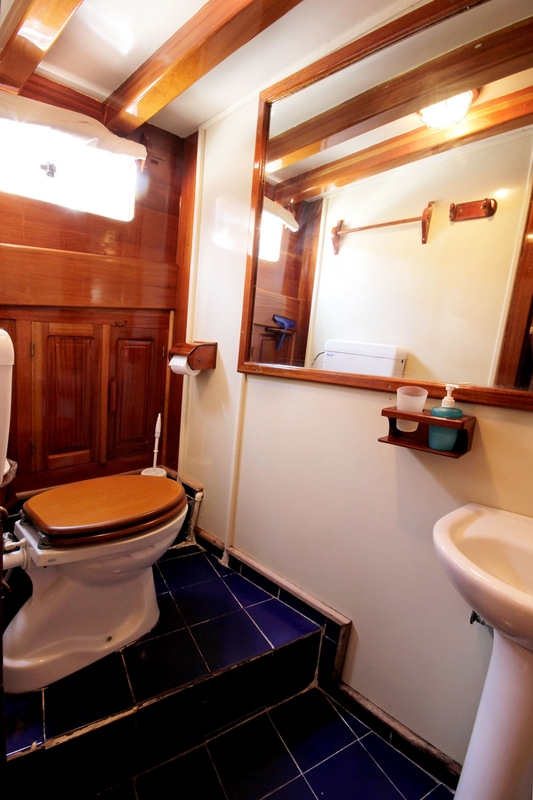 All the cabins get daylight through portholes, have air conditioning available, and each have an ensuite bathroom. 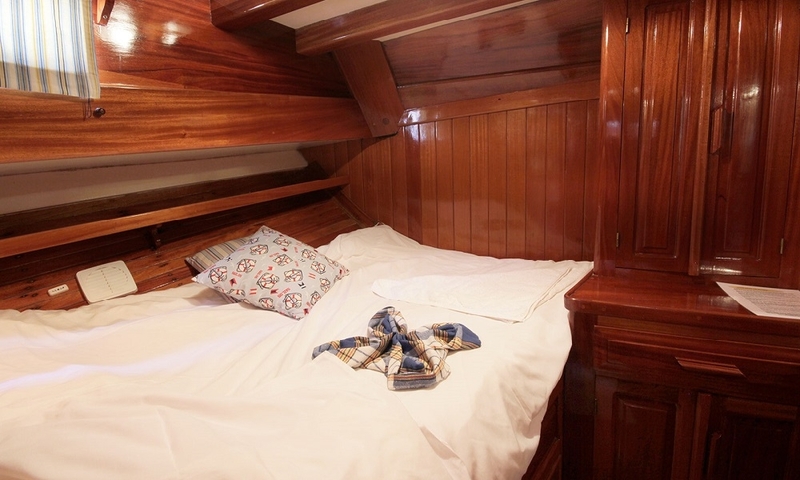 The naval style marine blue textiles and wood finish in the cabins continues in the saloon and on deck. 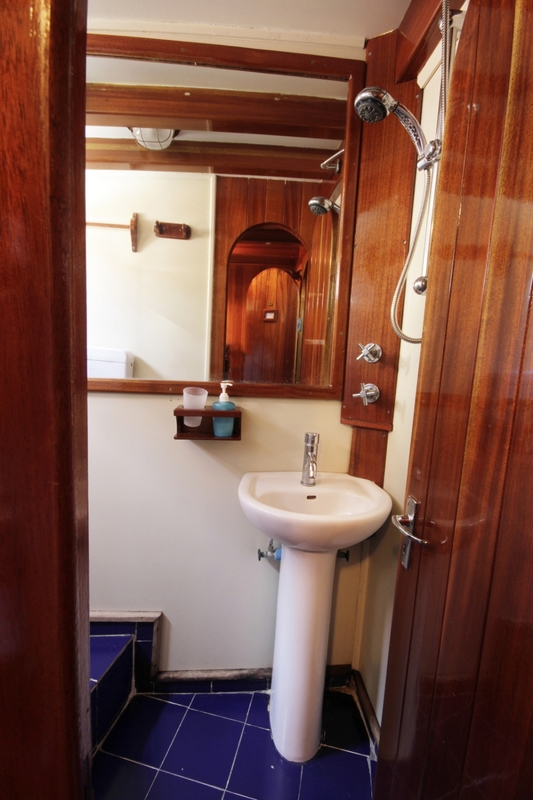 In the typically round and sloping stern you find ample seat cushions and two dining tables which can be pushed together into a bigger one. 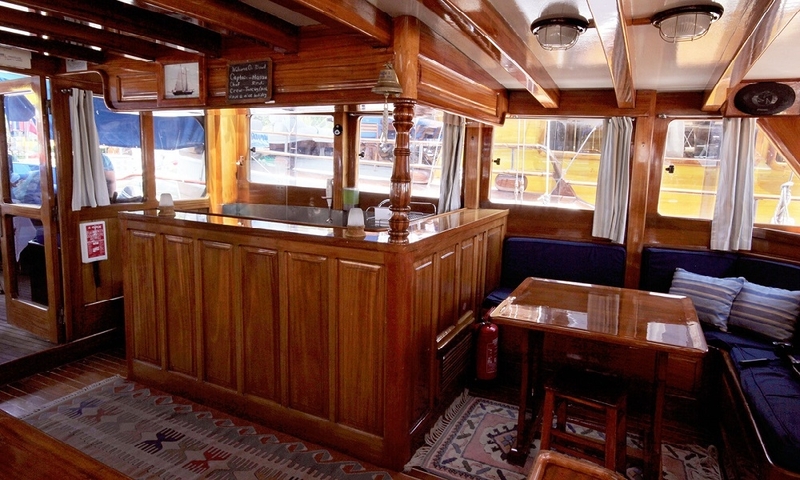 The crew serve the delicious meals prepared by the Captain’s younger brother, the smiling chef Mehmet, in the open galley in the saloon. 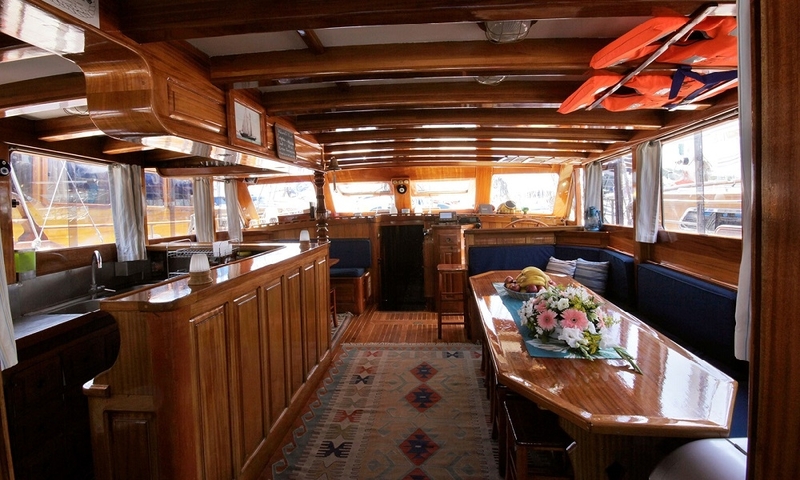 The galley is the bar as part of the salon which also has the indoor dining table and chairs. 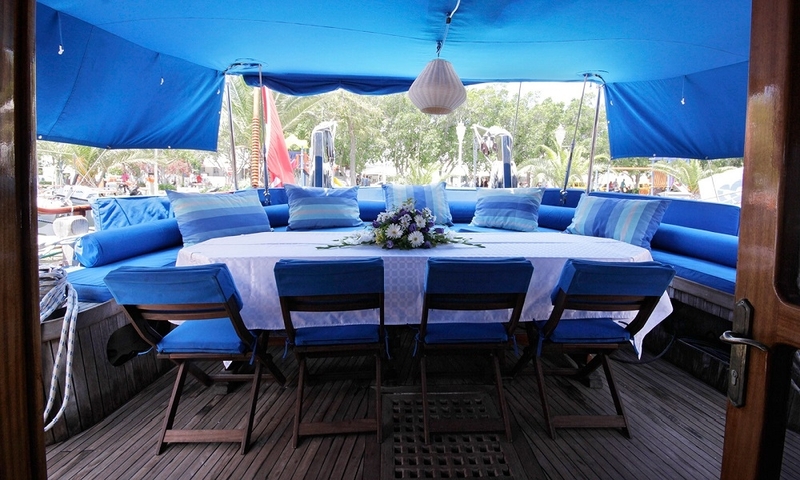 Before and after the meals you may laze on the cushions on the stern, or on the sunbeds out on the foredeck of sailing Turkish yacht Kugu 1. 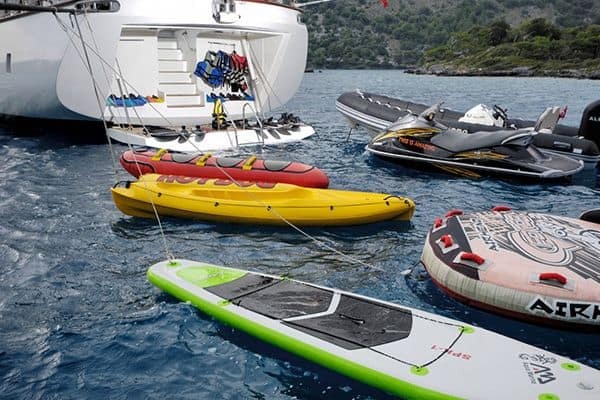 On the foredeck there is space to move and enjoy the air or shade, while the active can enjoy the watersport equipment of canoe, stand up paddleboard and a windsurf-board. 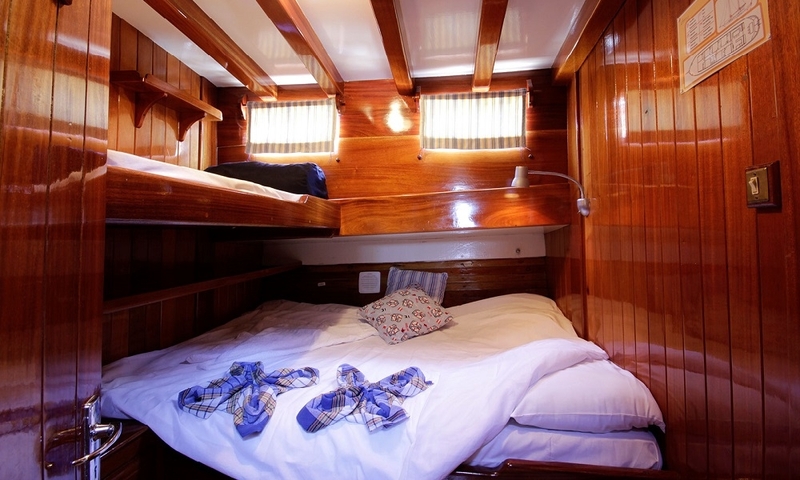 For the active sailors– the Kugu 1 is a magnificent sailer! 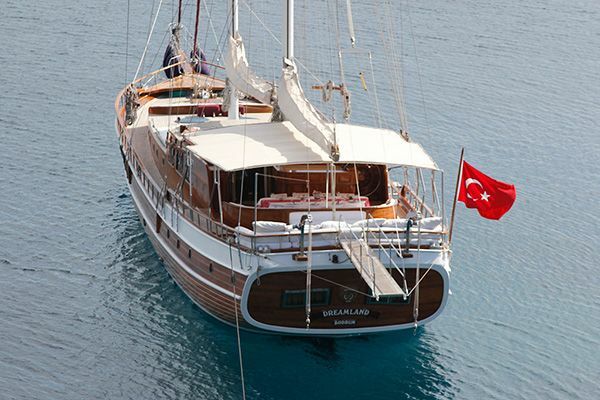 With a sail area of 450m² on two masts gullet Kugu 1 has won several trophies in the Bodrum Cup Sailing Regatta. 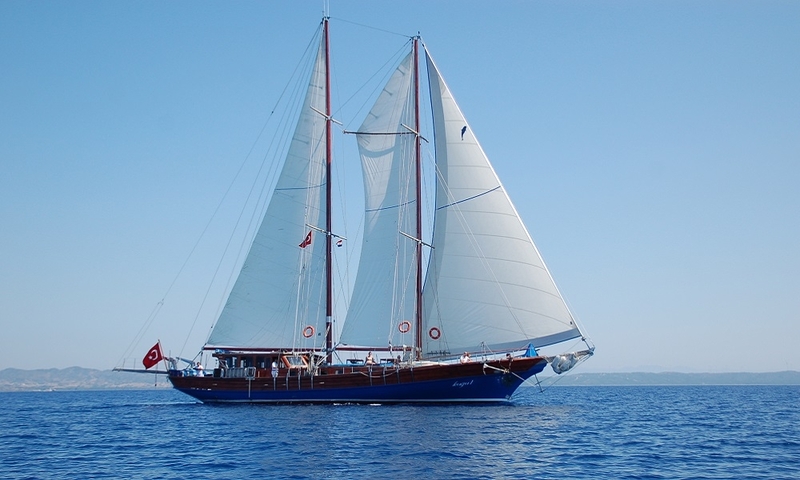 During a ‘Blue Cruise’ along the Aegean coast Captain Hasan is keen for the gulet Kuğu 1 to be sailed when the wind allows. 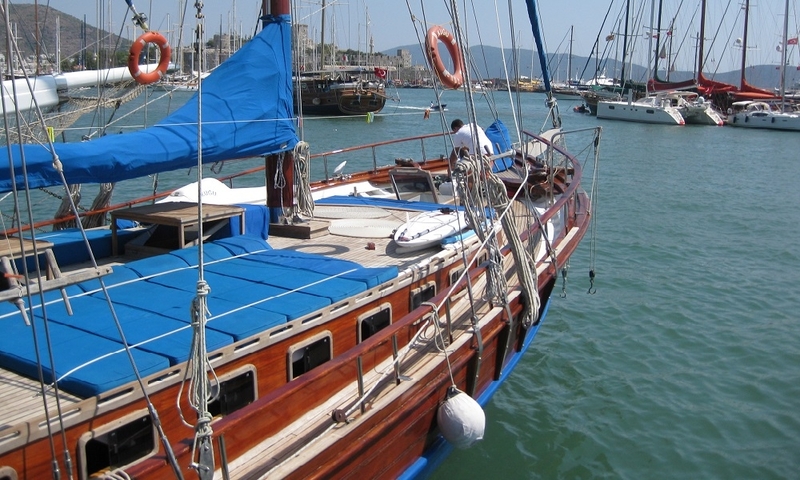 The stern shade is taken off for all sails and masts to be used, the crew is trained for it – and their guests love the sounds of sails filling with wind, and the waves. 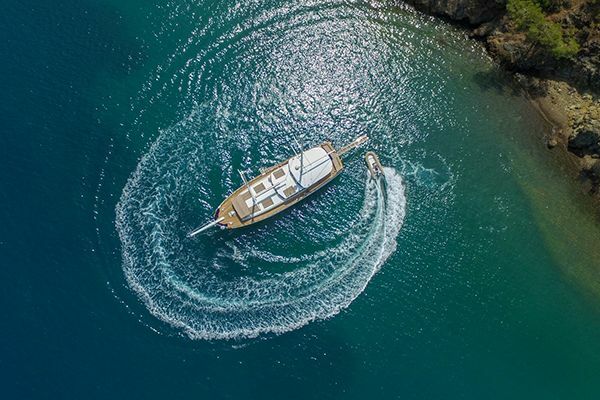 Be it along the Turkish coast or around the nearby Greek islands, the vacation for up to twelve guests on the Kugu 1 always gives an absolutely authentic and thoroughly enjoyable Blue Cruise experience.